The Myth of American Isolationism – A Centre Talk by Prof. Kristin Hoganson – This Wed.
Abstract: This talk reconsiders the myth of American isolationism by tackling some of the place-based assumptions upon which it rests. In opposition to those who have pinned the isolationist label to the rural Midwest, Hoganson explores hidden histories of connection that stitched this seemingly most local of places to the wider world in the seemingly most local of times — the long nineteenth century. Though attention to such topics as indigenous diasporas, bioprospecting, animal breeding, consular representation, meterological congresses, scientific agriculture, Malthusian discourse, and international students, this paper brings multiple forms of alliance politics to light. In so doing, it makes a case for a different kind of local history and a different sense of region, attuned not only to affiliative impulses but also to the exclusionary politics of empire. 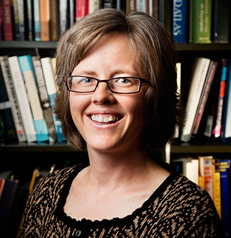 Kristin Hoganson is Professor of History and Professor of Gender and Women’s Studies at the University of Illinois at Urbana-Champaign, and the 2015-16 Harmsworth Visiting Professor of American History at Oxford University. Her research interests lie in placing the United States in world context, cultures of U.S. imperialism, and women’s and gender history. She is the author of Fighting for American Manhood: How Gender Politics Provoked the Spanish-American and Philippine-American Wars (Yale UP, 1998) and Consumers’ Imperium: The Global Production of American Domesticity, 1865-1920 (UNC Press, 2007). Her current research focuses on the local history of the U.S. heartland: Once Upon a Place: The U.S. Heartland Between Security and Empire (Penguin Press, forthcoming).